The H.E.R. Platform (a female-specific "Health & Education Resources" Platform). that provides an avenue for qualification for the NPL Finals. Properly-structured youth soccer clubs are the vehicle through which player development occurs in the United States. Clubs should play in leagues that provide meaningful games, allow establishment of the proper training-to-game ratio, and eliminate calendar congestion. NPLs, as well as the best clubs, should be integrated in US Club Soccer's id2 National Identification and Development Program, include Player Development Programs (PDPs) in select local markets, and work closely with U.S. Soccer staff regarding player identification, and player and coach development. The NPL held its inaugural NPL Showcase in March 2014, which brought teams from NPLs across the country to one site for intra-league competition and player showcasing. It featured U-16, U-17 and U-18 boys teams at Heritage Park in suburban Las Vegas, Nev. Click here for a recap. Following on the heels of that event, an NPL Showcase for U-15 through U-17 elite girls teams will be held Dec. 31, 2014 - Jan. 2, 2015 in Palm Coast, Fla. Click here for the list of accepted teams. The NPL also entered into partnerships with the Jefferson Cup and Surf Cup to provide slots to top NPL teams at those renowned events, beginning in 2015. 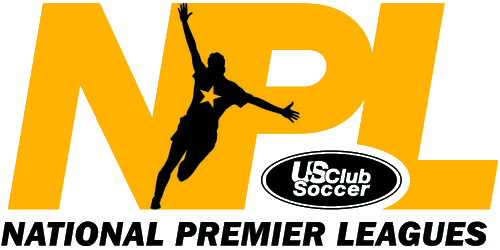 The targeted destination for all NPL teams, and the culminating event each season, is the NPL Finals (formerly known as the NPL Champions Cup), where NPL national champions are determined. The NPL Finals feature qualifiers in U-13 through U-18 boys and girls age groups from every NPL across the country in a true "champions league" competition.